Jewcology - | Rainbow Day! Remember the Rainbow Covenant on Shabbat Noach, Shabbat Behar and Rainbow Day! 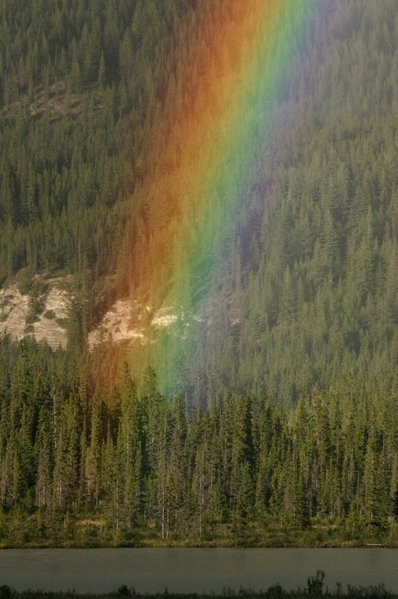 Celebrate Rainbow Day and the Rainbow Covenant with all life! 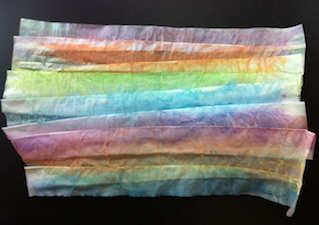 In the Rainbow Day curriculum, you’ll find Torah, prayers and liturgies, midrashim about rainbows, lesson plans about seed-saving, learning from Hoshea and Ezekiel, Kabbalah and science and art, and project ideas—39 in all—that you can use to celebrate the Rainbow covenant on Shabbat Behar (May 4-5, 2018 in Israel, May 11-12, 2018 in the Diaspora), on Rainbow Day (42nd day of the Omer, May 11-12 in 2018), on Shabbat Noach (Oct 12-13 in 2018), and any time you want to focus on environmental issues. DOWNLOAD the Rainbow Day curriculum HERE. It includes: the Rainbow and Shmitah covenant Torah texts, poetry for kids, liturgy, song and midrash, frogs and color perception and science, mikveh meditations, the dangers of triclosan and oxybenzone (found in anti-bacterial soap and sunscreen), hydrofracking in Israel, and much more. Some of the specific materials and source sheets can be downloaded as attachments on the left of this page. A table of contents with a list of all 39 modules, along with the ages each is appropriate for, can be found below. Many individual modules have study sheets, articles, and lesson plans that you can download directly below. You can add your ideas to this curriculum too: write to R’ David Seidenberg of neohasid.org (rebduvid86 at gmail.com). New to this year’s curriculum: the Zohar on diversity; and protesting pipelines. Don’t leave this page without taking a moment to listen to the Hoshea covenant song — scroll down to find the video link! On the 27th day of the second month, Noah, his family, and all the animals that were with them left the ark (Genesis 8). Exactly one lunar year and ten days before—one complete solar year—the flood began on the 17th of the second month, the day before Lag B’Omer. When Noah, the animals and his family went out from the ark, God made a covenant, with all the animals and the people, that there would never be again be a flood of water to destroy life on Earth. Rainbow Day is always the 42nd day of the Omer, the day before Yom Yerushalayim. 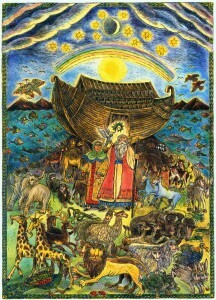 Other special days connected to the Rainbow Covenant include Shabbat Noach and Shabbat Behar. Why is the Rainbow Covenant important? The Rainbow Covenant is a time to celebrate the diversity of life on Earth, and to remember our role in God’s covenant with all Creation. It is a time to remember that the first covenant was not with human beings but with all living creatures. It is a chance to reflect on the deep spiritual and religious meaning of diversity, creation, and our role as part of creation and partners with God. What is the message of the Rainbow Covenant? The Torah teaches that God has promised never to flood the Earth again. But that doesn’t mean humanity can’t “flood the Earth” and harm life. We live in a time when many species have gone extinct or are threatened with extinction. Our civilization is using so much of the world’s land and resources that we don’t always leave room for the other creatures. And the climate is changing. As the African-American spiritual goes, “God gave Noah the Rainbow sign, no more water, the fire next time!” The story of Noah and the Flood teaches us that we have a responsibility to care for all creation and all creatures, and that caring for all species is a mark of righteousness. What can you do to celebrate the Rainbow Covenant? Blessed be You YHVH, our God. . .who remembers the covenant. Barukh atah Adonai Eloheinu melekh ha`olam zokher et habrit. 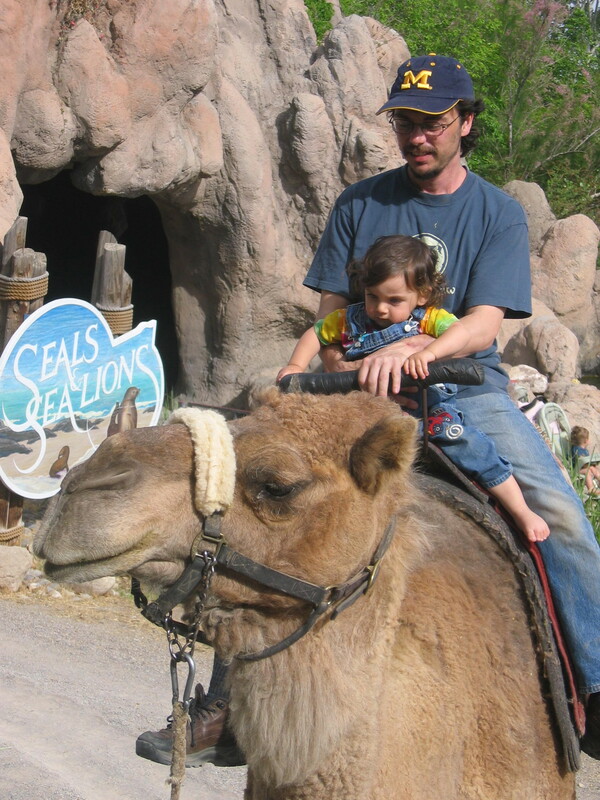 You can use also these materials on Shabbat Noach, Shabbat Behar, or other days! Download the Rainbow Day curriculum! You can also incorporate ideas you’ll find here into the observance of Yom Yerushalayim, or as part of Lag B’Omer or for anytime of the Omer, etc. Or use them in religious schools in the week following Shabbat Behar or anytime. Whether you do something in a group, a synagogue, with friends or on your own, make Rainbow Day special. ברית מי נח the covenant of the waters of Noah. עלינו ועל כל מיני החיים over us, over all Life’s species. בכל מושבותהם in all of their habitats. כימי שמים על הארץ like days of the Skies over the Land. You can find more versions of this prayer and other Earth prayers on neohasid.org. 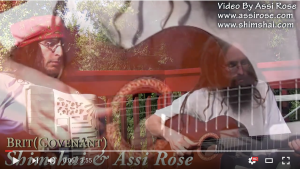 You can hear a song written by Shimshai to these words on youtube by clicking the image below, or you can here an audio only version by Amen (Gaby Meyer and Amir Paiss) here! According to Kabbalah, Rainbow Day is also the day of Malkhut in Yesod, a unity of masculine and feminine that represents a milestone on the way to the revelation of Shavuot. For us, it can represent a chance to commit ourselves to the rainbow covenant, to turn from actions that destroy the earth, to turn our lives away from unraveling earth’s climate and the web of life, from diminishing earth’s abundance. The rainbow signified a new covenant between God and the land. It’s time for us to imagine a new covenant between humanity and the Earth, including the land and the seas, one that we start to live by as we change our lifestyles and habits. We can use the covenantal vision of the Shmitah year in Leviticus 25 to help guide our steps. And maybe next year it will be time to celebrate that new covenant. Rainbow Day is pregnant with ritual possibilities related to the elements, to the midpoint between equinox and solstice, to the time between the fire of Lag B’Omer and the fire of Sinai, to global warming, to healing the waters, to the growing wheat crop in the land of Israel, and to all the meanings related to the journey from freedom to revelation. And rainbows are a symbol of diversity: the diversity of colors, of people, and of all life. 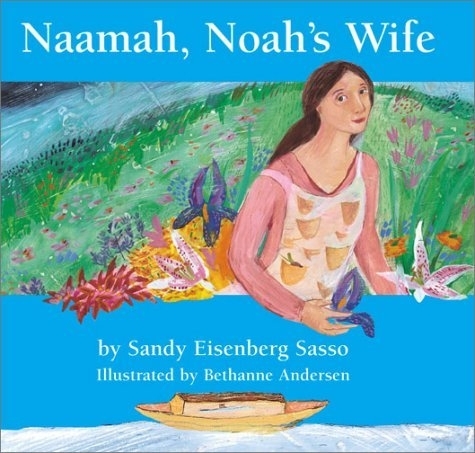 ♦ More: Jewish Lights has published two versions of Sandy Eisenberg Sasso’s book about Naamah: Naamah, Noah’s Wife, ages 1-4 and Noah’s Wife: The Story of Naamah, ages 4 and up. No Replies to "Rainbow Day!"